During the final of Hillary Clinton’s campaign this election season, the main idea has been that in order for the middle class to actually grow, big businesses need to do even more to share their wealth with the employees who do all the hard work whole day, whole night. For now, it seems that Apple agrees with her! Starting all, all Apple employees, starting from its top engineers to the last retail and AppleCare worker, will be eligible to get a stock grant program that could previously only be obtained by Apple’s corporate employees. This was announced by Apple CEO Tim Cook, proclaiming the new program in a company-wide email last night, if WIRED is to be believed. Cook clarified that, while Apple employees have always been eligible to obtain Apple stocks at a discounted rate, only corporate employees were capable to be nominated for restricted stock units (shortened to RSUs), which essentially amount to grants of stock that the company uses as incentives to keep and reward their top talented employees. But now, any employee can get them. Apple has not yet responded to WIRED’s request for comment. RSUs are rather common among Silicon Valley startups fighting the competitive battle for engineering, design, and business talent. But for a company of Apple’s size, which depends not only on high-end knowledge workers but a vast network of retail and service employees around the world, the move sets an important precedent about the role businesses should play in ensuring the financial stability of all—not just some—of their employees. It’s a precedent that Mrs. Clinton, at least, would like to extend during her presidential tenure. But her plan, now called the “rising incomes, sharing profits” tax credit, is slightly different from what Apple is announcing. Instead of a standard stock program, Clinton suggests a true profit-sharing program, where companies give employees grants—up to 10 percent of that employee’s wages—in return for a two year tax credit. The tax credit would amount to 15 percent of all the money the company divvied out through its profit-sharing program. So, in other words, an employee who makes $50,000 a year could receive a $5,000 grant, and the company itself would receive a $750 tax credit. “Yes, of course, raise the minimum wage, but we have to do so much more, including finding ways so that companies share profits with the workers who helped to make them,” Clinton said during last night’s Democratic debate. WIRED has reached out to the Clinton campaign for comment on Apple’s plans. While Clinton’s version of precisely how this will all go may be different a fair deal from Apple’s version, both plans attempt to reach the selfsame final target: to make more parity between the people at the top of the corporate ladder, the people at the bottom of the corporate ladder, and everyone in between. Everyone should get their share of corporate wealth. Seeing how Apple has affected the business world to such a great degree, not just technologically but ethically and environmentally throughout the years as well, it’s easy to see how Apple could also influence its fellow tech and corporate giants on this burning modern issue — and provide the Clinton campaign with a marquee company to name-check on the campaign trail. So far, the plan seems to have received a large amount of support, but we all have to see how it actually works out in the end. 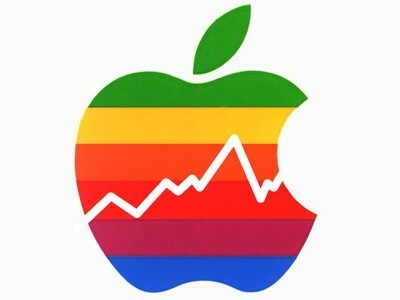 What are your thoughts about it, and do you support the recent changes in Apple’s stock scheme? If you liked this article, make sure to keep on following Geeksays for the latest news from the tech world!